“Jérôme, I booked your wine tour, but my wife doesn’t like Riesling”. This is the moment I realize a tour might get complicated – after all, we are touring the Riesling paradise that is Germany. My first reflex in these cases is to recommend a new wife which is possibly not the best idea. (1) Distract. Explain there’s more to German white wine than Riesling. There’s some fantastic other varietals worth exploring: Weissburgunder and Grauburgunder (Pinot Blanc and Grigio, respectively), Sauvignon Blanc, and some more Germanic varietals such as Scheurebe or Silvaner. (2) Don’t tell. Start your tasting journey with a Winzersekt, a sparkling wine made ‘méthode traditionelle’. Some of the best are made from dry Riesling. Very often these elegant and light sparklings carry a fantastic fruit, aromas of candy and white flowers, and very light brioche notes. Reveal the varietal only after your sparkling-lover yet Riesling-hater expressed delight over the Winzersekt. (3) Surprise. Many Riesling-haters argue that Riesling is too sweet and too acidic, which might be true for some bottom-shelf or export Rieslings. 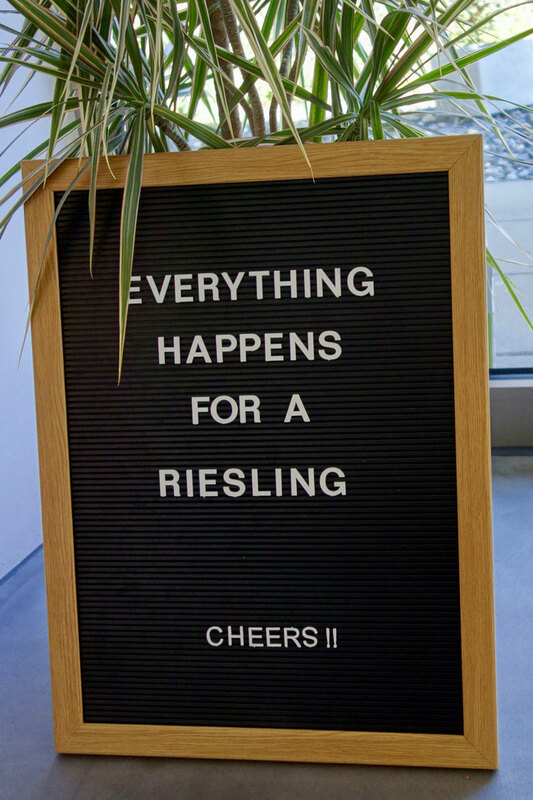 Now give them both in one: a good off-dry Riesling Kabinett balances off acid and residual sweetness so nicely newbies will not even notice it is not 100% dry. (4) Attack. By now cracks in the resistance are showing. It is time to pull out the big guns: pour a Grand Cru Riesling (Grosses Gewächs), if possible slightly matured. There are few white wines that can show that amount of complexity, and that sense of origin. Peach, apple, apricot, limestone, pineapple, flint, wet stones… all that and more can be part of the aroma profile, that even - most intriguingly - varies from vineyard to vineyard, even though they might be just a couple meters apart. (5) Appease. All of that did not work? That’s the moment to pull out a bottle of Pinot Noir. Germany’s second great varietal whose best expressions give a Burgundy a good run for its money.